Elvis Presley Figure Picture Frame. If you would like to be Elvis Presley place your photo in this photo frame from one of the best singers that ever lived. Do you know someone who is fan of Elvis Presley? Your own or a friend? Well you have to try as I feel to be Elvis Presley. 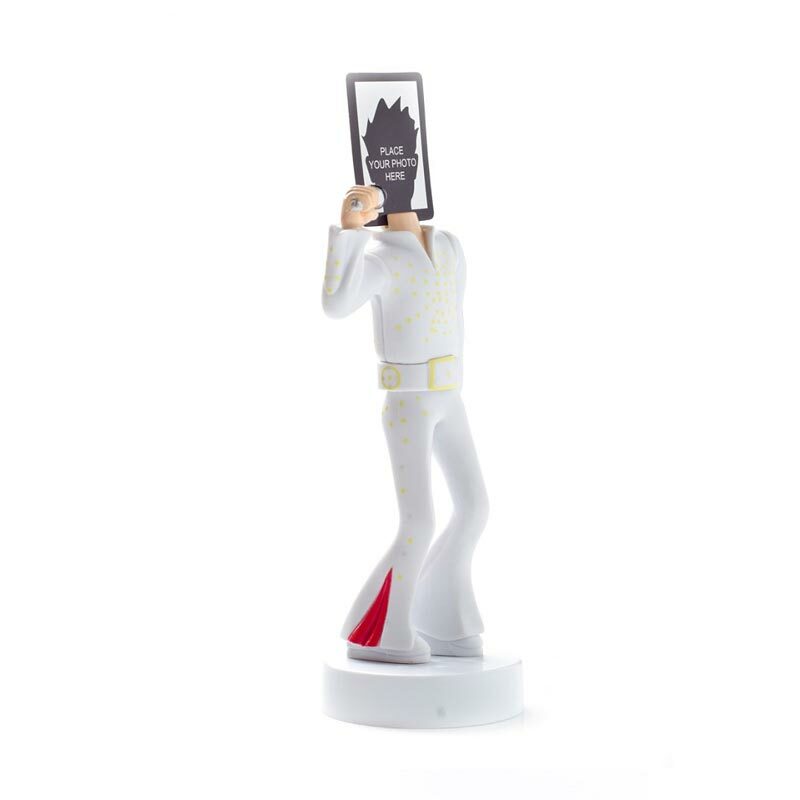 Great photo frame shaped figure of Elvis Presley. I know who you want to be, with a simple passport photograph.